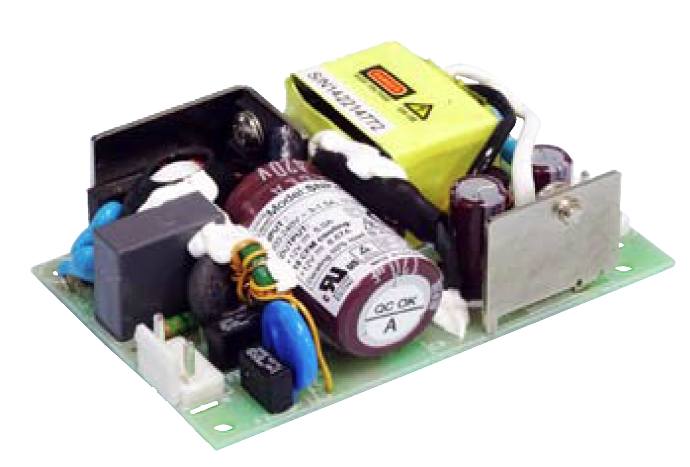 The PSSNP-HF6 series of AC/DC medical open frame power supplies offers rated output power of 60 watts, a max output power of 72 watts, and a peak output power of 96 watts in a 3.17” x 2” x 0.95” package. 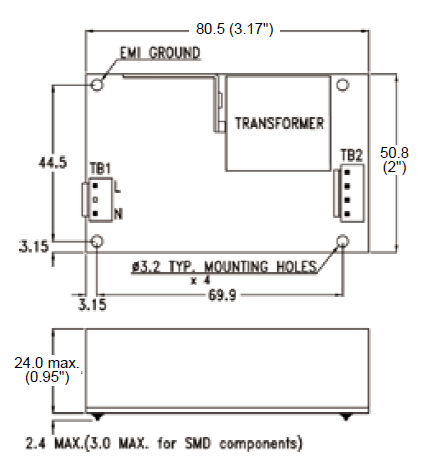 This series consists of single output models with a wide input voltage range of 90-264VAC. Each model in this series has high mechanical torque start-up as well as over load, short circuit, and over voltage protection. This series has UL/CSA/EN60950-1, 2nd Edition and ANSI/AMMI/CSA/EN60601-1, 3.1 edition safety approvals. Please call factory for order details. PSSNP-HF6x is for ITE & Medical applications which require standby mode. PSSNP-HF6xA is for ITE & Medical applications but without burst sound and no standby mode. 3. Standby power consumption with system: for computers and displays, Energy Star in U.S. and ErP regulation in Europe require the input power to be less than 0.5W at standby mode. 5. Peak load duration: Peak 96W can last for 5 sec.